The Federal Deposit Insurance Corporation (FDIC) was formed in 1933 as part of the Banking Act of the same year. The formation of the FDIC was in response to the many banks that failed during the Great Depression. The FDIC became an independent government corporation through the Banking Act of 1935. The role of the FDIC is to cover FDIC-insured bank deposits, up to a limit, in the event of a bank failure. This is what you know it for - it's supposed to safeguard your money if a bank goes under. 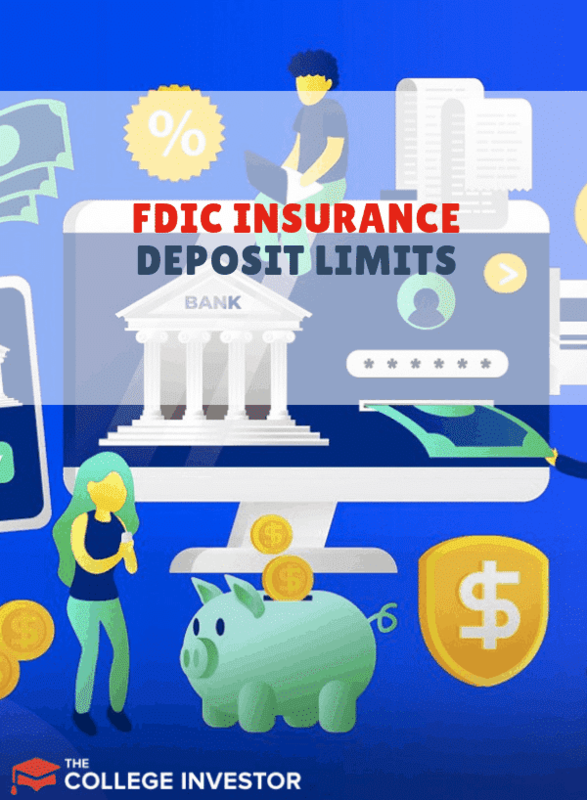 FDIC Deposit Limits have become a popular topic with the rise of online banks and hybrid checking bank accounts. Is your money secure? Here's what you need to know! What Happens to My Money When a Bank Fails? Standard FDIC deposit insurance includes coverage up to $250,000 per depositor, per FDIC-insured bank, per ownership category. This limit applies to the total for all deposits owned by an account holder. If you have multiple accounts, they are added together and insured to the limit. For example, if you have a $100,000 account, a $150,000 account, and a $50,000 account, equaling $300,000 in total, only $250,000 of this total will be insured. If you have a joint account (with, say a spouse), your limit is combined - so $500,000. FDIC insurance does cover earnings on deposits, assuming the overall account value does not exceed the $250,000 insurance limit. If you have $200,000 in an account that has earned $5,000, the full $205,000 is insured since it does not exceed the $250,000 limit. To better understand the various scenarios that deposits are covered under, check this interactive graph provided by the FDIC. Additionally, you can use the FDIC Electronic Deposit Insurance Estimator (EDIE). The EDIE lets you input your specific deposits and shows amounts that are FDIC-insured. To receive FDIC insurance, you simply need to deposit funds with an FDIC-insured bank and one of the account types mentioned above. No application needs to be filled out to receive coverage. It is critical that the bank has FDIC insurance to receive any coverage. To find out if a bank has FDIC insurance, check that the FDIC seal is present, which is usually on the bank’s door, or ask a bank representative. You can also use the FDIC’s BankFind tool. You can see a comparison chart here. What does this mean for your 401(k)? This will depend on what’s in the 401(k). Is there a cash or money market component to the 401(k)? If so, those assets may be covered but check with your 401(k) administrator to be sure (and they may be covered by another organization called the SIPC). For those with over $250,000 of eligible funds, leaving them at one bank will exceed the insurance limit. But there are ways around the limit. Most involve distributing funds to multiple banks, each with a maximum of $250,000. This means someone with $1 million can distribute funds across four banks to receive full coverage. “If you wanted to do that directly at a bank, you’d have to set up differently titled accounts or have your funds literally placed in different banks,” says Erik Lind, vice president of cash management products at Fidelity Investments. 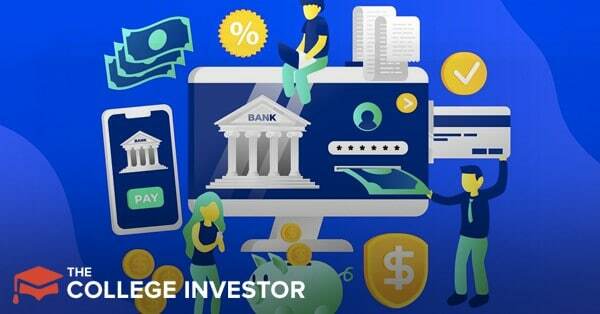 “A more convenient way to gain the expanded coverage may be to open one account at a brokerage provider that can automatically cascade your assets throughout its bank network coverage, rather than having separate deposits in a bank or multiple banks,” says Lind. These accounts are called cash management accounts, and Fidelity offers a great one that we list on our list of the best free checking accounts. While rare, banks do fail. If an FDIC-insured bank fails and your money is in an insured account, rest assured that you are covered up to $250,000. Accountholders are insured dollar for dollar. Depositors are usually paid their insurance within only a few business days after the bank’s closing and often by the next business day. The FDIC moves all insured accounts within the failed bank to another FDIC-insured bank. The FDIC sends accountholders a check equivalent to their insured account value. There can be delays for some of the more complex account types such as trusts and accounts opened by a third-party broker. These accounts need further review to determine how much is insurable. The FDIC will become the receiver of a failed bank and sell off the bank’s assets. For depositors that have account values in excess of $250,000, proceeds from the bank’s assets are used to pay back uninsured funds. Although, it can take years to sell all of a failed bank’s assets. It is also unlikely those depositors will receive 100% of their uninsured funds. When checking out a new banking product, make sure that you understand whether your deposit is insured or not. We rely on banks to keep our money safe. This is how they are different than an investment product. Your bank account should not lose value as the result of the organization's management. That's why the FDIC exists. Make sure you know if your money is protected.